October 1, 2018, Brantford, ON. It is a feeling of excitement, moving into a new home. 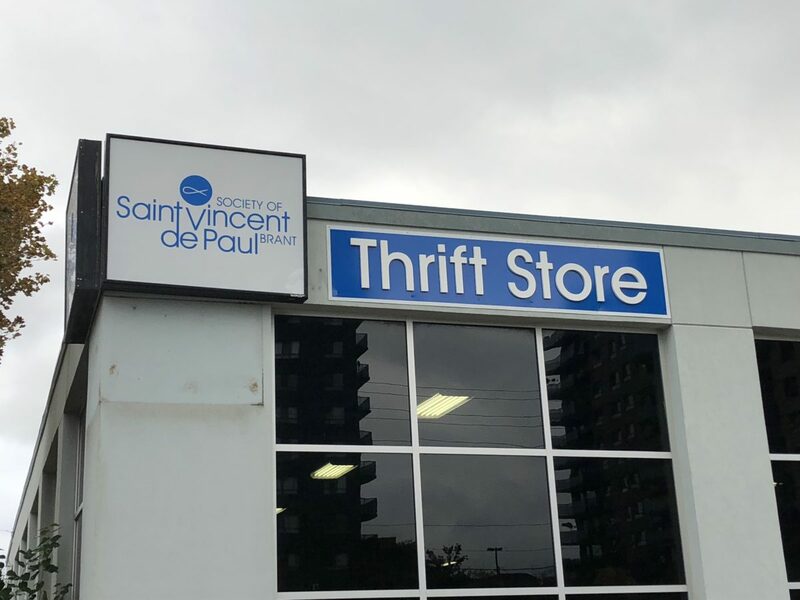 That’s the feeling shared by Pat Lenz, President of The Society of Saint Vincent de Paul, Brant, her executive and the many Vincentian volunteers who work in their Thrift Store. 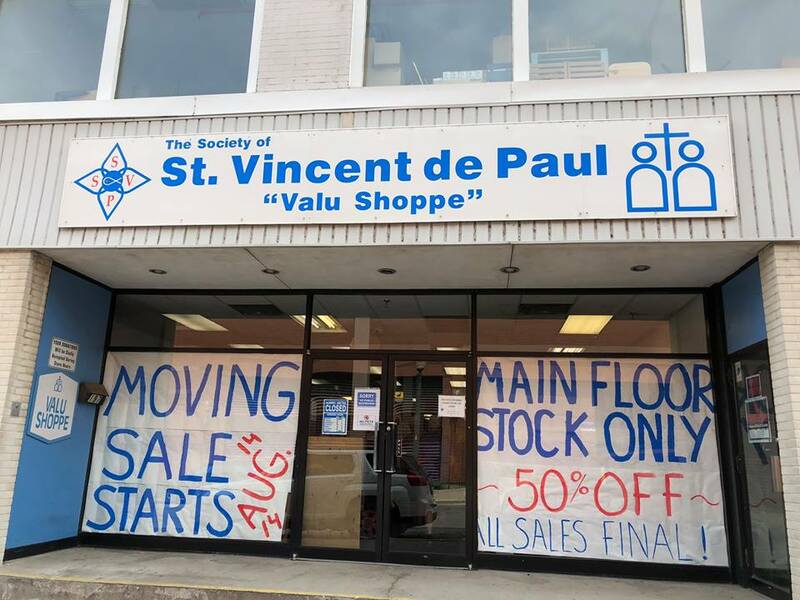 “This move has been at least three years in the making since we decided to sell our store on Colborne Street and purchase the former Crosby Cable YMCA building at 143 Wellington Street, (at Clarence), ” said Ms. Lenz. Author Pat LenzPosted on October 6, 2018 October 6, 2018 Categories home-newsTags Next Store Project, thrift store1 Comment on FINALLY – The opening of our new Thrift Store! It is the right thing at the right time for the right reasons. Author Pat LenzPosted on August 27, 2018 Categories home-newsTags 143 Wellington, moving, Next Store, thrift store, Valu ShoppeLeave a comment on Moving day is fast approaching! In her last year as a student at Assumption College, Meghan Josling did a work placement at the St. Vincent de Paul Valu Shoppe in Brantford. Because she made such a connection with her fellow volunteers, Meghan returns to help out on holiday breaks from her schooling at Mohawk College. 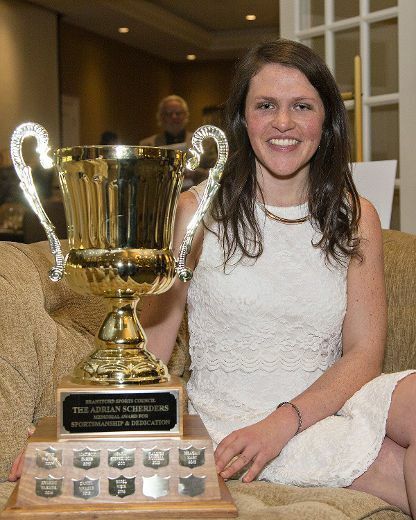 Author Pat LenzPosted on February 9, 2018 Categories home-news, UncategorisedTags Meghan Josling, Valu Shoppe, volunteer1 Comment on Congratulations, Meghan! The Bed for Every Child project was conceived to help alleviate some of the ill effects of poverty on children in the Brant/Brantford community. The goal is to provide a new bed to a child in an underprivileged home who would otherwise not have a bed in which to sleep. These children are currently sleeping on the floor or carpet or couch or are sharing a bed with parents and/or several siblings. The living conditions in these homes are personally witnessed by SSVP Brant home visitors, who engage in home visits to determine the extent of the need within these families. 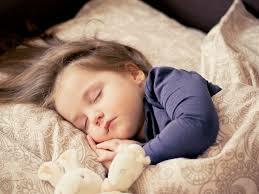 Each conference (our Society’s groups) decides which family(ies) has(have) a child in need of a bed. Then, two members of a conference make a home visit and complete a Demographic Sheet for this family as well as a voucher for a new single bed when they feel it is appropriate. The completed Demographic Sheet is returned to the Particular Council President, who turns it in to the bed allocation coordinator. The completed bed voucher is left with the client who will redeem it at the store and arrange for delivery of the bed. For purposes of accountability, and in order to ensure that we are good stewards, the bed allocation coordinator keeps track of the money we are given for beds to ensure that it is spent on beds for children. The bed allocation coordinator also maintains a data base of those who receive a bed. The need was first recognized 4 years ago, and various groups (mainly 1 local high school) have engaged in various fund-raising activities including pilgrimage walks, all-night sleep-overs, school dress-down days etc. that allowed the program to be established and sustained. The approximate cost per bed is $100. To date, over 280 beds have been given to these very under-privileged children. The provision of beds to these children has made a profound difference in the lives of the children as well as their families, which is of course part of our mission as Vincentians. On Saturday, April 8, 2017 over 10,000 pounds of food was collected to be distributed to the neighbours in need served by the Society of Saint Vincent de Paul as well as Why Not Missions in Brantford. A very generous donation of Kinder Eggs and chocolate valued at over $10,000 retail was received from Ferrero. 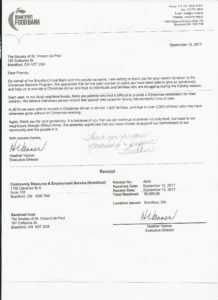 Various other companies and businesses provided large collections of food and cash leading up to the Steve Rigby Memorial Food Drive day. 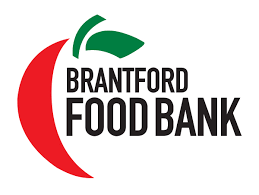 Steve Rigby and his wife Clare, owners of Freshco on Clarence Street, Brantford have run a food drive with the help of Brantford Police Constable Scott Gibson, High School Resource Officer with the Brant Haldimand Norfolk Catholic District School Board for the past two years. Tragically, Steve Rigby died suddenly and unexpectedly two weeks ago however; his wife Clare, although understandably grieving his loss, insisted that the event carry on in her husband’s name because she knew that is what Steve would have wanted. Officer Gibson with a crew of fellow Brantford Police officers, Vincentian volunteers and a number of students from St. John’s College Leadership class were there to help with the heavy lifting of water donated by Officer Gibson. They also loaded over 100 bags of groceries prepared by Freshco that were purchased by generous customers and other food donations from Freshco customers into the Society of Saint Vincent de Paul delivery cube van. As well, several people walking and driving by made cash donations. Two very generous, anonymous donors gave $500 and $100, respectively. Inspired by this year’s event, Clare Rigby and Scott Gibson look forward to staging the Steve Rigby Memorial Food Drive again next year. “Each year we of SSVP Brant “come together as family” near the April 23rd birthday of our founder Frederic Ozanam to celebrate and to thank our outstanding volunteers. As one of a handful of Councils in Ontario comprised entirely of volunteers, even in our large (and growing) Store operation, our ability to support our neighbours in need in Brantford and Brant County is entirely dependent on efforts of these volunteers. At last year’s gathering then-President Anita Reansbury also invited a specific group of our community supporters to be recognized, the BHNCDSB – in the person of their Director Chris Roehrig. In organizing this year’s celebration it struck us that inviting partners provides an opportunity to thank them, to introduce them and their support of our work to our Vincentians – and to brag about our Vincentian volunteers to them. So we will be continuing that practice this year and in years to come. This year we have chosen to highlight the support we receive from our referral partners. These community agencies provide a range of services to those whom we serve – or seek to serve. Just as we have worked very hard in the last few years to improve the practices of our home visitors and Store personnel to smooth the process for our neighbours in need – so we have reached out to these community agencies for the same purpose. Workers who understand the needs of their clients and understand how SSVP Brant may be able to help, use referral letters to connect those in need with our organization. In turn, this assists us in fulfilling our mandate to “seek the poor”.